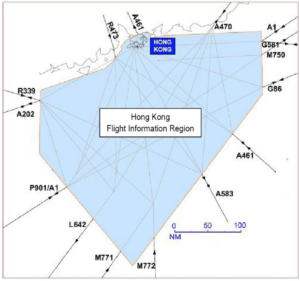 AIP SUP A09/18 details new communication procedures for air traffic entering the VHHK/Hong Kong FIR. Pilot shall report the aircraft callsign, position (with reference to reporting point), level (including passing and cleared levels if not maintaining the cleared level), transponder code, and other pertinent information (e.g. 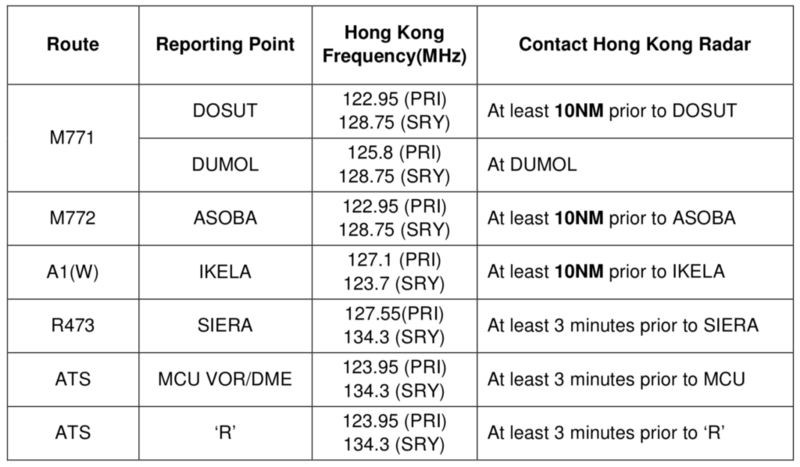 speed assigned by last ATC, tracking if it differs from the flight plan route) in the initial call before entering Hong Kong FIR. 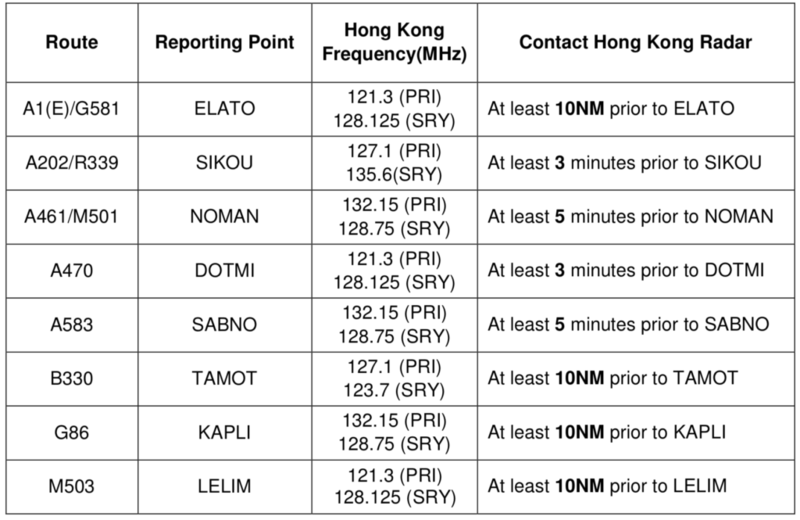 Also a small change: the requirement for pilots to report the estimate time exiting Hong Kong FIR on first contact with Hong Kong Radar as stipulated in AIP Hong Kong ENR 1.1 paragraph 2.2.4 will no longer be applicable and is hereby cancelled.